Welcome to Greenlight Garage Doors – where price and quality matters. Serving Regina and surrounding areas in Saskatchewan, our family-owned business takes pride in our professional work and our reliable customer service. 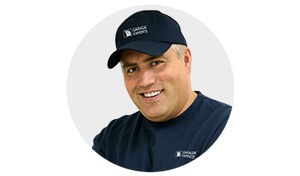 As official dealers of GARAGA garage doors and LiftMaster door openers, we believe in offering our customers the best products on the market. Make your neighbours jealous with a gorgeous GARAGA garage door. We carry many contemporary and traditional models to give you a door that matches both your home and budget. Let us bring our samples to you and help you find the perfect colour and style. We will also explain your different insulation, hardware and window options. We strive for 100% customer satisfaction! Contact us today to schedule a free in-home estimate. Simply call us at 306-525-3667 or complete our online quotation form. Our business hours are from Monday to Friday, 8:00 AM to 5:00 PM, and on weekends by appointment. We specialize in residential and commercial applications. At Greenlight Garage Doors, we have a variety of residential and commercial openers to complete your garage door system. To best serve you, we carry Chamberlain LiftMaster openers, the industry leaders in quality and technology. LiftMaster is the number one selling brand of garage door openers in Canada. Since this brand is so popular, we have easy access to parts when we need them. This gives us a fast turnaround on repairs and maintenance. Many of our door openers can be linked to your smartphone – you will never worry about forgetting to close your door again! With the swipe of a finger, you will know that your home is safe and secure, even when you are away. We focus on great customer service! Our customers have told us that fair prices, quality products and timely service are their top priorities. At Greenlight Garage Doors, we make sure to meet and exceed all of your expectations. We offer professional installation, repair and maintenance service to every one of our customers. We price our products and services honestly, and get the work done on time. We offer 24 hour customer service for emergency repairs. In addition, we offer preventive maintenance packages to keep your garage door running smoothly all year long. Our products come with a one year warranty on all service and installations. If you have any questions or concerns with your garage door, just give us a call. We bring our professionalism and expertise to residential and commercial customers with our complete line of Garaga products. Located in Regina, Saskatchewan, we also serve Moose Jaw, Weyburn, Estevan, Lumsden, White City, Saskatoon, Davidson, Fort Qu’Appelle and surrounding areas. Contact us today at 306-525-3667. Our team is looking forward to serving you!